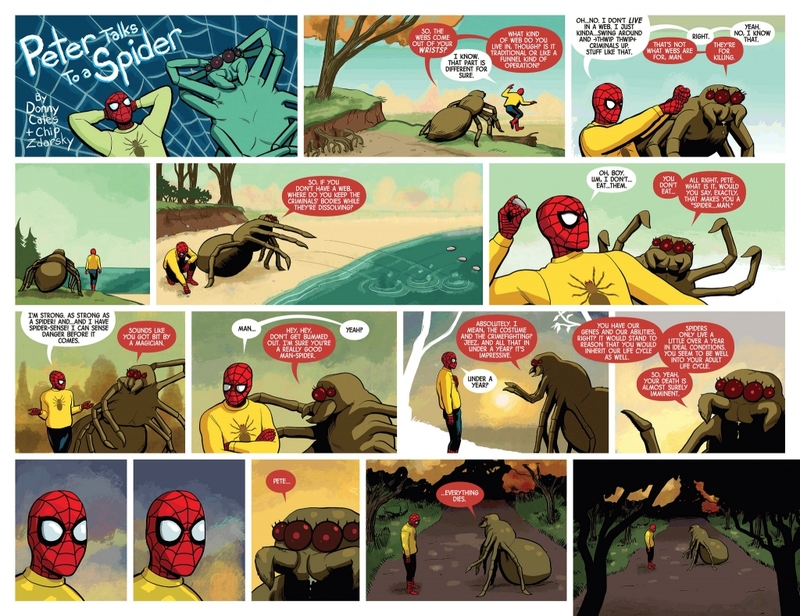 Peter Talks to a Spider. It’s a good thing Peter’s walking around wearing that sweater with a spider on it. That way you know for sure which one’s Spider-Man. We’re All Wearing That Signboard. Damn It, Bucky, Can’t You Just Stay Saved? Rex the Wonder Dog: More of a Man Than You. Superboy Joins a Pack of Wolves. Superman vs. Jimmy and Lois’s Giant Robots. You’d Think that Humpty Dumpty Would Have Egg-Themed Crimes or Something.